Julian Alaphilippe has withdrawn from Itzulia-Vuelta al Pais Vasco. The rider was involved in the heavy crash of the third stage of the race. With seven kilometres to go and as the peloton was heading at top speed to the final sprint, there was a massive crash that affected several riders, including Deceuninck-Quick-Step's Enric Mas and Julian Alaphilippe. Both riders could finish the stage, the Frenchman after being attended at the site of the crash by his team's medical staff and twelve minutes after the day's winner Maximilian Schachmann. 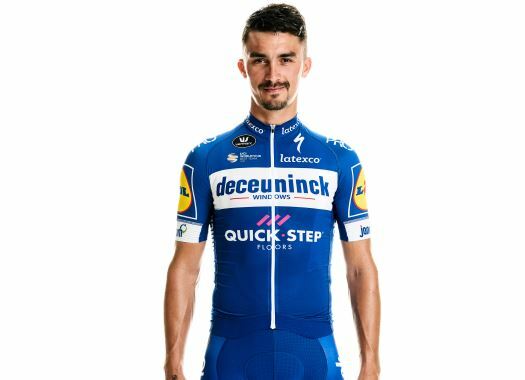 Although Alaphilippe's injuries were only abrasions that caused a lot of pain, he and the team have decided for him to withdraw from the Spanish race. "After being assessed by the doctors and given the injuries incurred yesterday and the weather conditions in the race, the team decided it's best that he stops and focuses on his recovery," said the team through Twitter. "We'll continue to monitor his progress ahead of the Ardennes." Mas' injuries were less serious and he was able to continue in the race.